Short trips have a charm – they don’t last long but the ROI is exceptional. You cherish the places more, keep your keen eye out for places and come back refreshed. 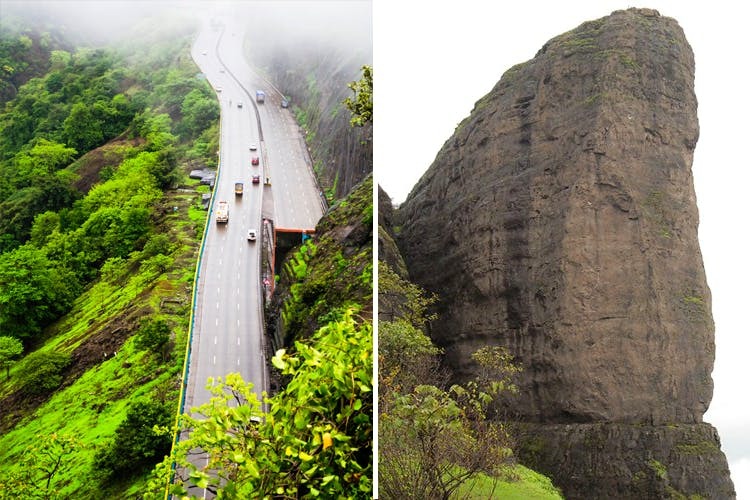 Lonavala may be the first thing that comes to mind, but Khandala isn’t far behind. Aamir Khan vouched for it years ago. Sure, there may be overlaps but it’s inevitable in this case. Fuel yourself up for the day that lies ahead. You can either have a lavish spread at Asian Kitchen at Four Points by Sheraton. After all, when you’ve got one day to spare, why not live it up a little? In case you don’t agree with that philosophy, stop by at Navratna veg restaurant for a pocket-friendly, South Indian spread. Soak in a part of the glorious past that Bedsa caves come with. These Buddhist caves are a part of the cave trio – Bhaja, Bedse and Karla. Duke’s Nose is a popular trail that leads you to beautiful views and a sense of satisfaction. The leads you to a nose-like rock protruding from the valley. Triose Plaza falls about 20 minutes away from Duke;’s Nose and houses popular restaurants like Cream Centre and more. You’ll have a lot to choose from here, so choose wisely. Kune Falls, about 15 minutes away from Triose Plaza is a popular spot for people to take it easy at. After you’re done, head on over to Tiger Valley to catch the sun working its magic. There are a couple of bars and restaurants that you can head to for dinner before hitting the road. There’s Zara’s resort, Parsi Dhaba and more. Or you can even stop at a Navi Mumbai eatery. Some overlaps may happen, but that’s inevitable in this case.